One thing we eat a lot of around here in California is “Mexican” food. “Mexican” is a blanket term for anything involving tortillas, rice, beans, and avocados. This can be in the form of burritos, tacos, papusas, empanadas, enchiladas, or quesadillas. I’m not sure what can be classified as authentic around here. Then there is also the clash between the NorCal and SoCal burritos. I’m a NorCal burrito person myself because I’m not into the refried beans that are used in the SoCal burrito. Plus, NorCal burritos are monster sized and super cheap. They can last me two meals. Last week we bought a large package of flour tortillas from Safeway and did a taco night. Taco night around our house pretty much consists of pinto beans, avocados, flour tortillas, chile verde, and cheese (for me). This time I made brown rice to go with it and Andrew sauteed some diced yellow onion. This was the first time that I succesfully made brown rice. It was great! This is a simple, easy meal. 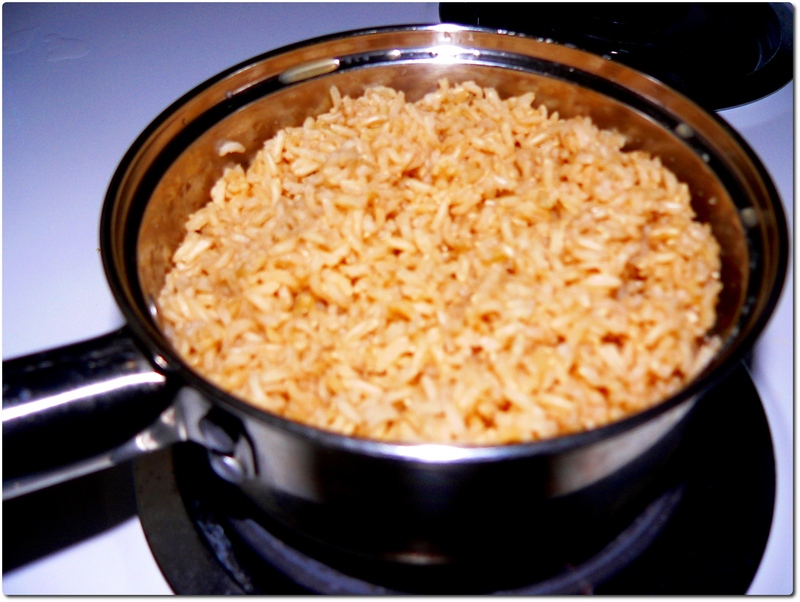 I wouldn’t say it’s quick because brown rice takes almost an hour to cook, but it definitely is easy. 1. Put brown rice and vegetable broth in a small saucepan. 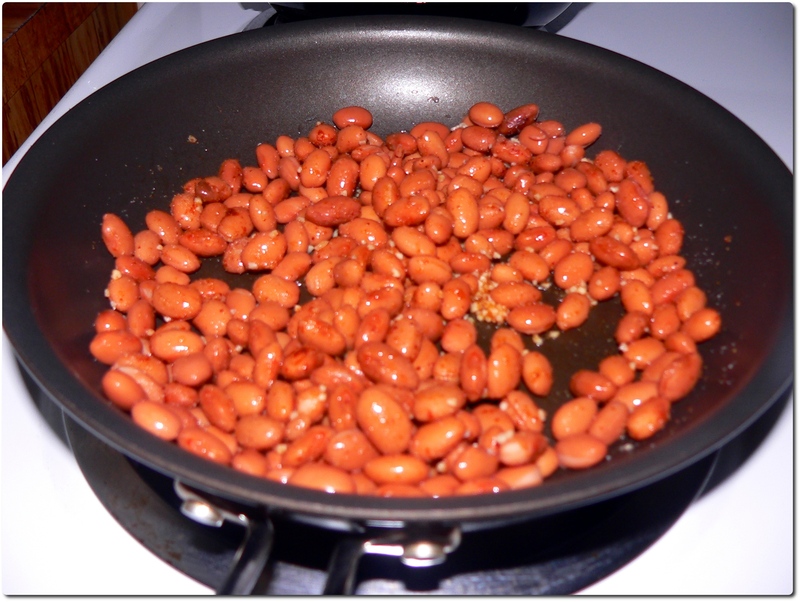 Then bring heat to high and boil. 2. 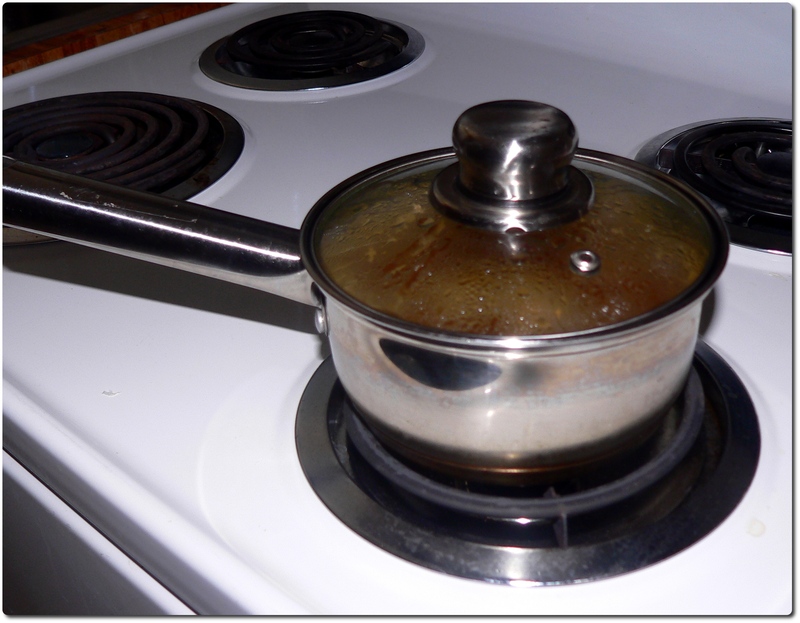 Once the rice and broth are boiling, turn the heat to low and cover with a lid. Let it simmer for forty-five to fifty-five minutes. 3. Remove the lid and fluff the rice. I had excess liquid even though my rice was done cooking. I just drained this out into the sink. 1. The rice and broth boiling. The red rings are what heat my food (I miss gas burners). 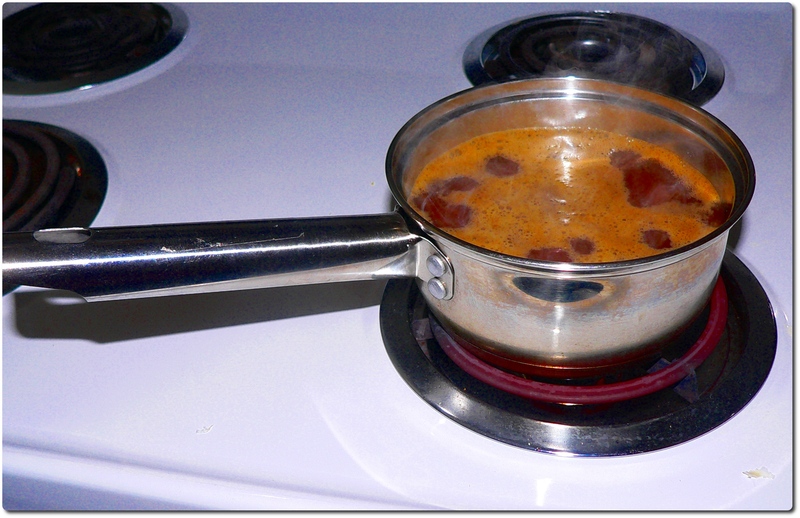 Yes, our stove-top is almost always that clean. And here is the finished product. No, yours will not be this glowing. That is just my lovely over the top flash because I do not have my portable desk lamp at this house yet. We ate this with canned pinto cooked with onion powder, chili powder, and minced garlic. We always buy the organic, low-sodium kind and then rinse them before cooking. And this is the final product. It is a terrible picture but I couldn’t focus with that little of light. 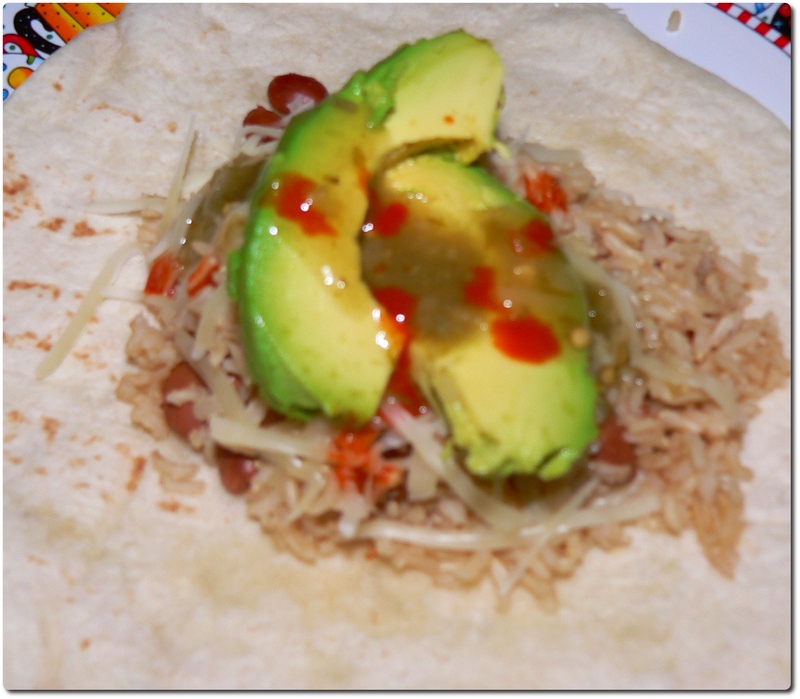 This entry was posted in dinner and tagged avocado, beans, cheese, rice, tortilla. Bookmark the permalink.